It’s time for our weekly assault – I mean analysis – of a random online resume. In short, I give it a quick 180-second scan and talk about the good, the bad, and the downright stupid. As always, the information below is not to make fun of anyone. Rather, it’s an exercise where we can all learn from common resume blunders. Hopefully Ms. Ilvana Do Socorro Azevedo Siqueira will consider our comments below. Remember: If you’re going to post your resume for the world to see, make sure it’s good! – Proper English. I understand that English is not everyone’s first language. 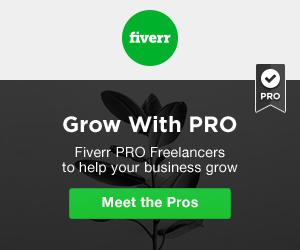 However, if you do not have an excellent command of the written word, I highly recommend you hunt down one of the gazillion services that will gladly take your money. It’s a small investment if it leads to the job of your dreams. Due to the language issue, I won’t bother to pick apart all of the awkward phrases, but there is one that really bothered me: “I was supposed to train all users.” Huh? That makes it sound like you were asked – but didn’t do it! – Are We Dating? This might be a cultural thing, but I find it odd that Ms. Azevedo Siqueira includes her photo, age and relationship status. While we probably could have a healthy debate on the inclusion of a photo, there’s no room for Match.com-type stats. – Stalker, Anyone? Here’s a recipe for disaster – a female’s photo and her home address aimlessly roaming the Web. Not smart. – Wrong header. Under “PROFESSIONAL PROFILE” she lists “I’m a dynamic, selfconfident person who likes challenges.” While a truly generic statement that doesn’t hold any weight, it also has no place under this header. – Playing With Time. Jobs are dated only by year, this leads me to believe that you are hiding inconsistent work experience and lapses in employment. You don’t need to include exact dates, but using years, coupled with every job being referred to in the past-tense, implies that you are not currently working. – Don’t Abbr. It’s impossible for everyone to know every abbreviation. When in doubt, spell it out! Even if it’s industry-specific. What if a layperson or HR specialist looks at your resume? Case in point – under “objective” she lists “Work in TI” What the hell is TI? – Unskillful. “Internet searching” is not a skill. I mean, you might be good at it, but come on! Ms. Ilvana Do Socorro Azevedo Siqueira states that she is an MBA grad. Quite frankly, I’d expect a better resume from someone with that level of education. 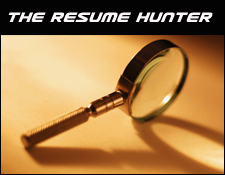 Before you upload that resume, get it nice and shiny cause The Resume Hunter is on the prowl.